The creation of new life is a miracle, but ugh, it sure can take forever. Thanks to the wonders of time lapse photography, however, one YouTuber was able to cut the entire development cycle of a tadpole down to just 20 seconds. It almost looks fake, but it’s as real as life gets. The soon-to-be tadpole is Rana temporaria, also known as the common frog. 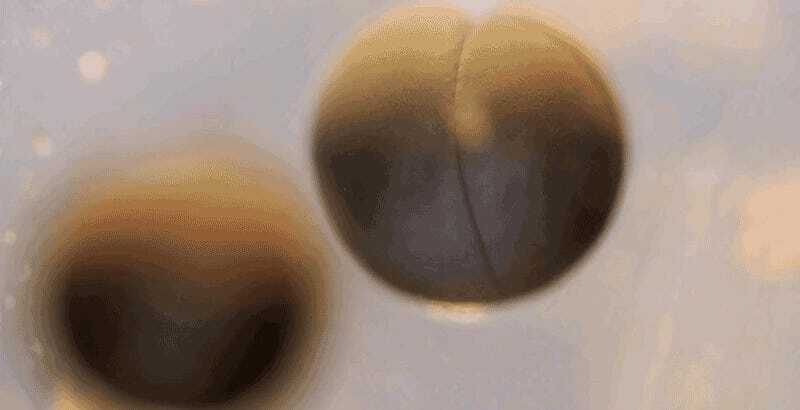 Filmed over the course of 33 hours, the time lapse appears to show the tadpole egg dividing from four cells into something like four million. It will still be a few more days before an actual tadpole hatches from the egg. Miraculous indeed. And to think, at one point, we were all right there, just a freaky mass of dividing cells that look like a prop from the Alien franchise.